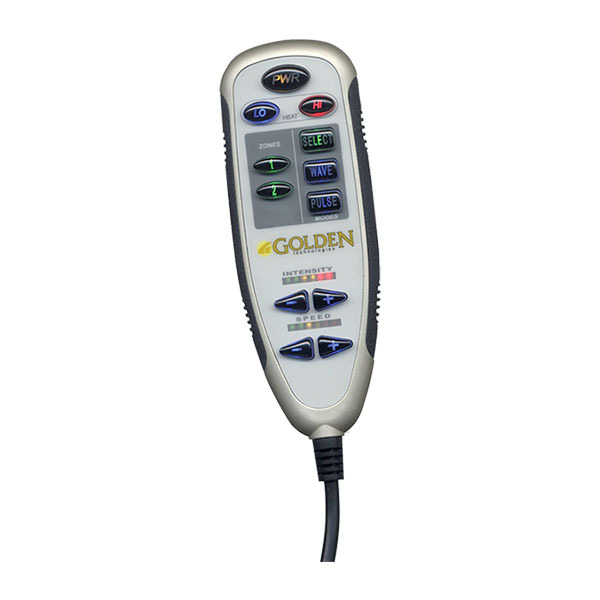 The PR-501JP is the smallest member of Golden's Comforter Series of lift chairs. 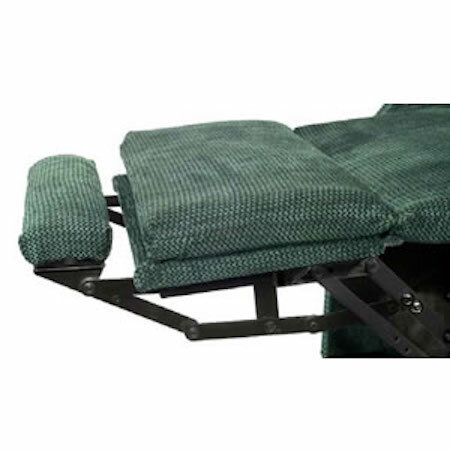 The PR-501JP features extra soft seat and back pillows with lumbar support and a "grip rite" arm design. Made with an emphasis on durability, the PR-501JP has one of the strongest frames in the industry. Made of Northern Maple wood, it is double-doweled at stress points, has reinforced miter blocks, and is stapled and glued. This means your chair will give you years of safe, squeak-free operation. The back is super supportive due to its hand-blown, overstuffed microfiber fill. The armrests use 2" of block foam for extra comfort. Enjoy your Golden PR-501JP chair knowing that is hand made by craftsmen with decades of motion furniture experience. 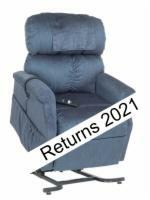 Lifetime chair frame, lift frame, and recline mechanism warranty. Richard from Carmel, CA would recommend this to a friend. Excellent phone order service. Delivery service (we opted for the "white glove" in house setup) was extremely professional and quick. They installed the chair where requested, removed the packing materials, were very friendly and were done in 15 minutes after a run through on the chairs functions. I purchased this chair for my 88 year old mother who has knee problems. She's 88 and 5' and 105# and this chair fits her perfectly. The side support/arms is perfect as is the back support and head support. The elevated foot platform has already forced her to keep her feet raised and has helped her circulation. The lift mechanism works smoothly and has a very wide range of motion. Not too fast as to make her uncomfortable but fast enough that it doesn't take forever. 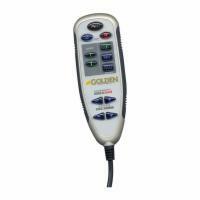 The two button controller is very simple to use and doesn't require much pressure for her arthritic fingers. As she says "the only thing wrong with this chair is it's so comfortable that I don't want to get out of it to exercise" yes, she loves it. We've only had it a month but that's long enough to discover one flaw. There is no backup battery for when the power goes out (which it does in our rustic area several times a year). She was in fact in a reclining position last week when the power went out. While it was awkward getting her out, I can't imagine if a user did not have anyone else in the house when the power was interrupted. Settle in for a nap until the power was restored I guess. We'll be adding a separate back up power source. Other than that absolutely perfect chair in fit and function and finish.